Photography, in my opinion, is just like any other art form. Some days you can be inspired and others….nothin’. When it comes to photographing my collection, this happens to me all the time. Sometimes, I will be inspired by something that can fuel ideas for sets of shoots that will keep me in blogging material for a couple of weeks. I love it when that happens! 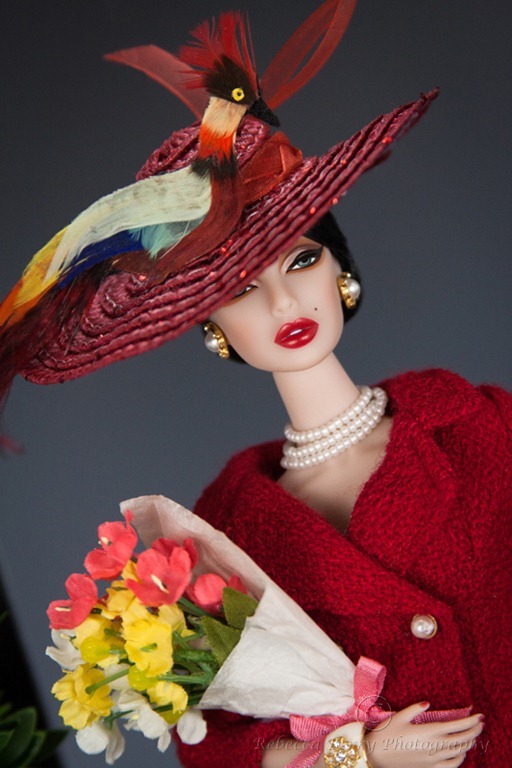 I was inspired recently by one prop and a treasure trove of Jakki Peters hats that I picked up at the recent Fashion Royalty Convention. The material that came out of those shoots has become some of my favorite shots for the entire year. 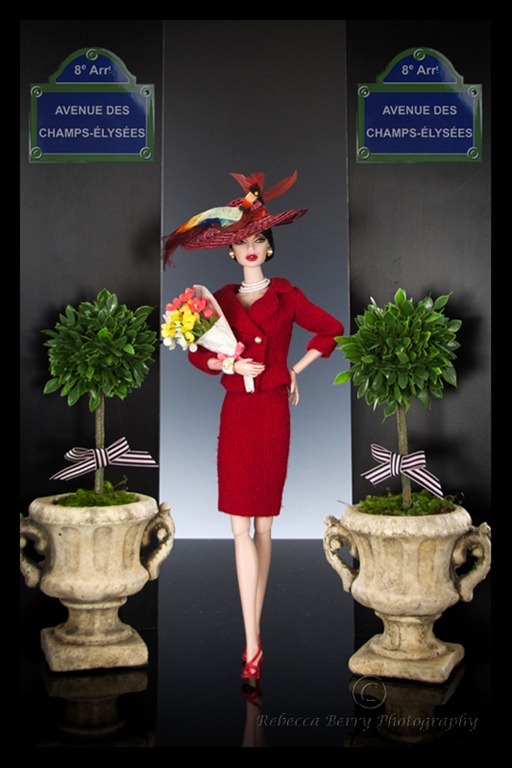 Hope you enjoy this series which I call….The Lady in Red. 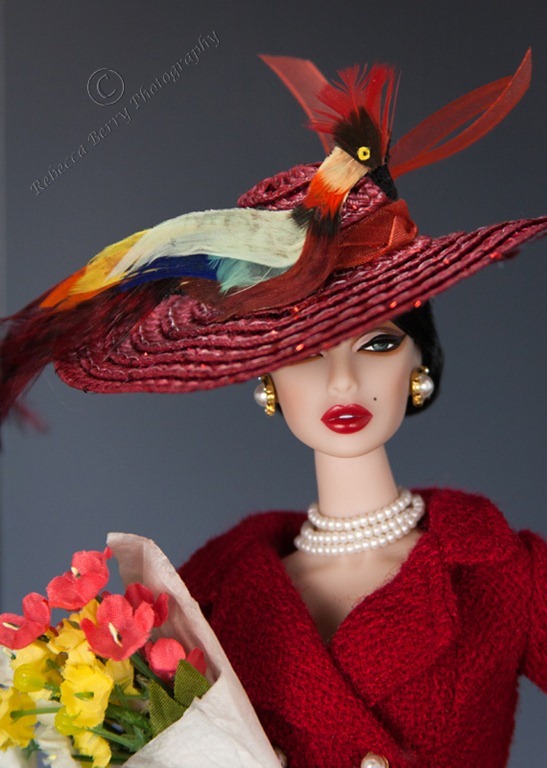 This entry was posted on October 29, 2012 by raberry65. 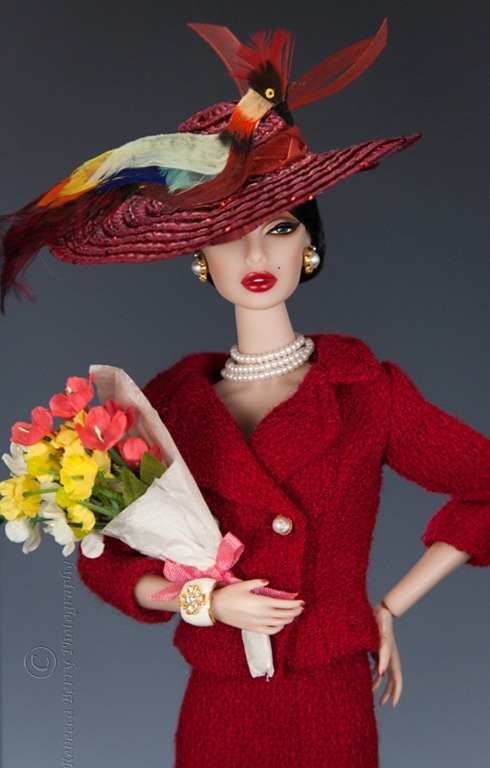 It was filed under Fashion Royalty, Monogram and was tagged with Doll Diorama, Doll Photography, Fascination Monogram, Fashion Royalty Monogram "Fascination", Integrity Toys, Jakki Peters hat, Miniature Couture, Rebecca Berry Photography, Silkstone Barbie. 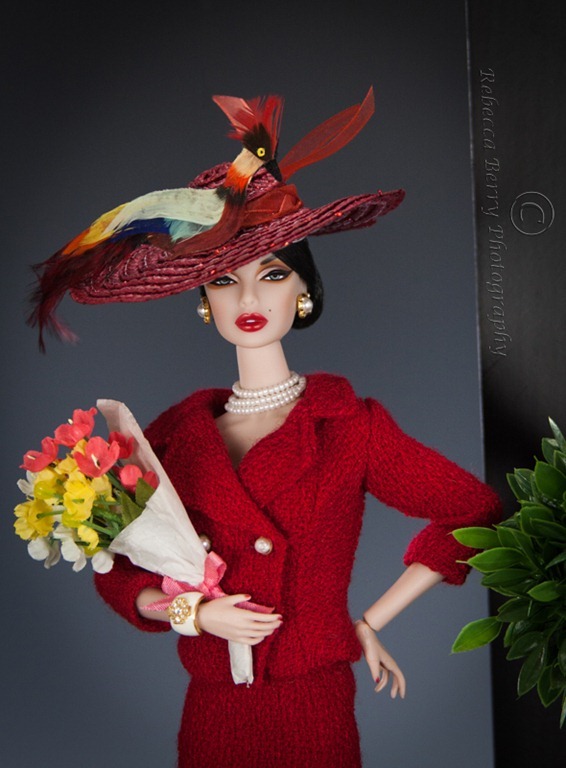 I’m a huge “Fangirl” of your photography but I’m sometimes afraid to look at your pictures since you often make me add another doll to my “Need That Doll” list, LOL. You’ve done it again with your stunning styling of Fascination. It’s interesting to read that you sometimes have photographer’s block. I have had long periods where my dolls don’t speak to me and I feel like giving them all away. Other times I have an idea that just doesn’t work no matter how I re-arrange the props, the lighting and camera angles!!! Thank you so much! Glad you liked these. Thank you so much Don. Sorry…the Jedi mind trick will not work with the red suit…She’s a’ stayin’ with me :-). It was a bold try though..and “well played sir…well played”. Congrats on your new Victoire!! Love, love, love that face mold. I am very glad to hear that my photos are encouraging and give inspiration. I draw inspiration from so many sources, it’s nice to hear I am giving some back. A nice full circle feeling. Awww! Thank you Sam! Glad you liked it. Thank you so much Marta! I adore this hat.